space by getting the basics fixed. There are too many musicians competing for attention so the press kit, the song format, clean songs for radio,etc. are not issues that Media personalities want to have to worry about. Your opinion is important in case you think that some issues have not been touched. 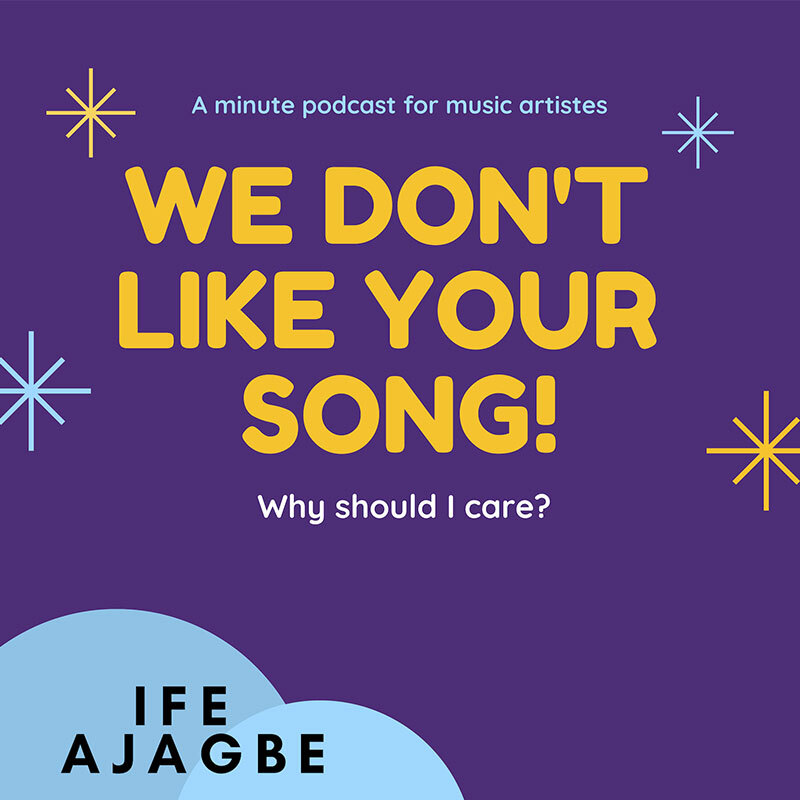 The first Episode which is also in the YouTube link is called, 'Why should I care?'. The emphasis is on the importance of a press release. Ife Ajagbe - Get an insane Graphic Artist!